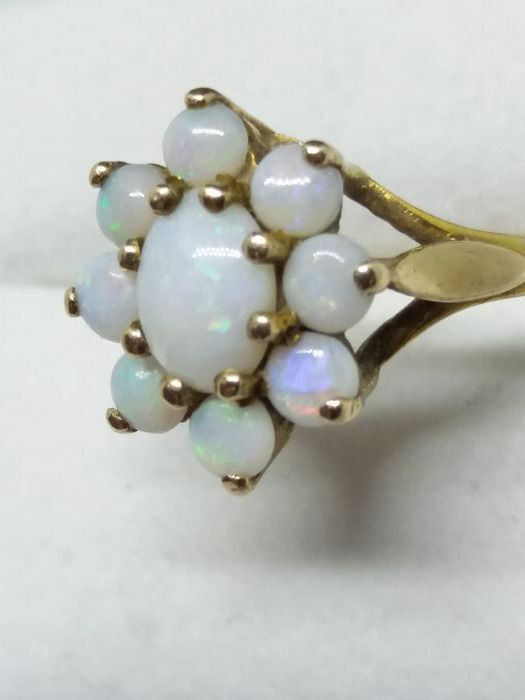 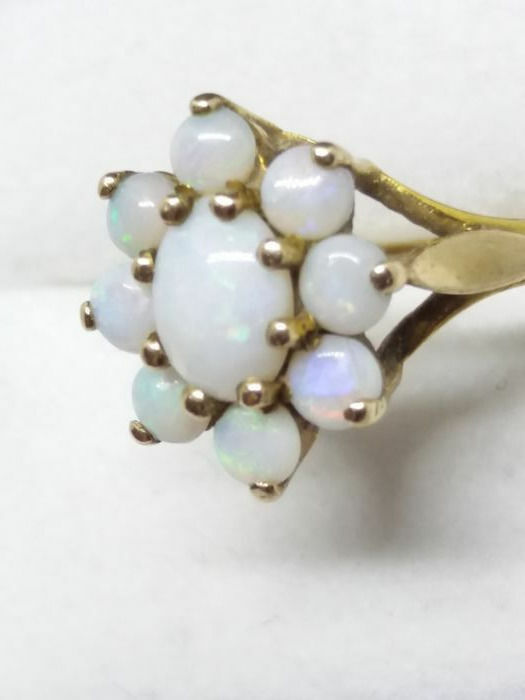 A truly beautiful natural full Opal cluster cocktail ring which exudes a whole spectrum of colours from its wonderful Opal gemstones. 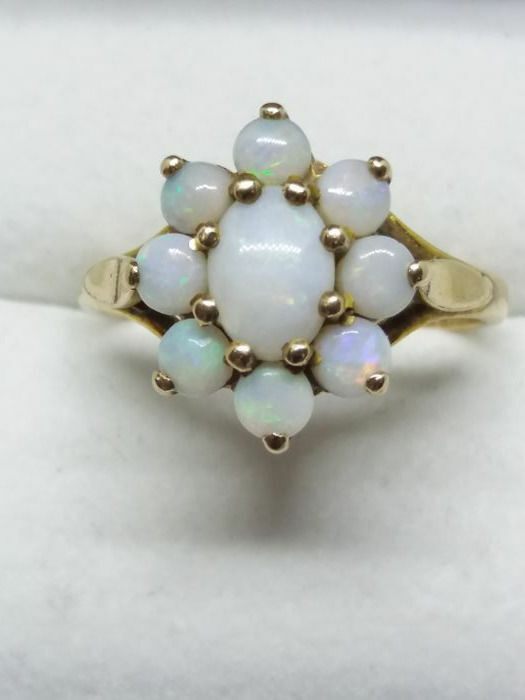 Opals are beautiful gems, with the finest Family Opal specimens containing every colour of the rainbow. 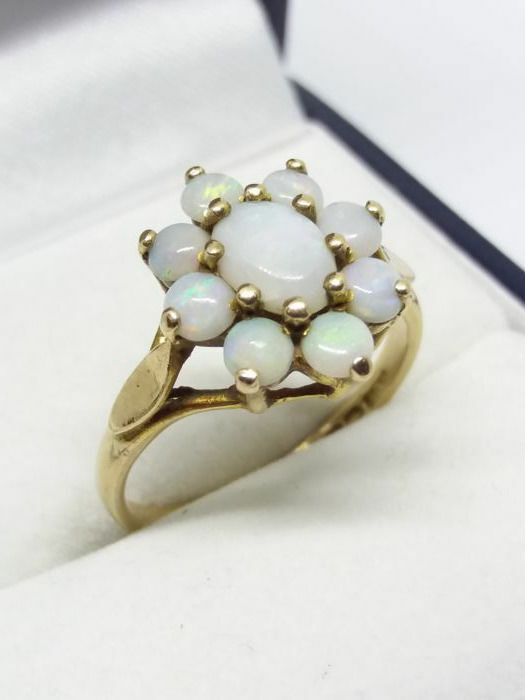 The name means ‘precious stone’, and is thought to have come from the Latin “Opalus” and the Greek “Opallios”. 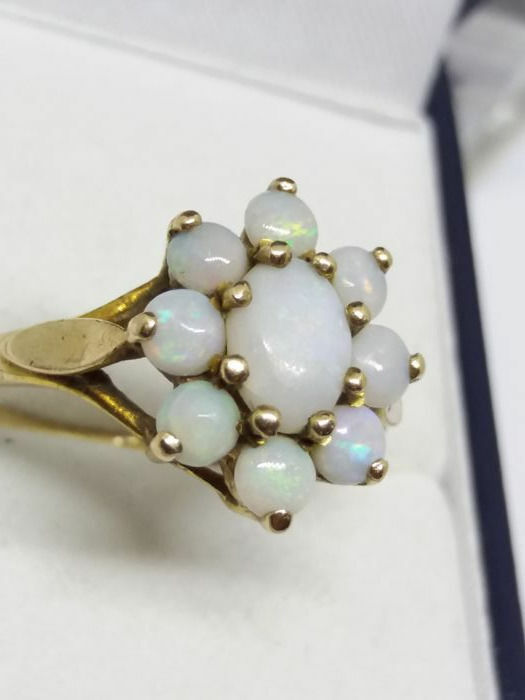 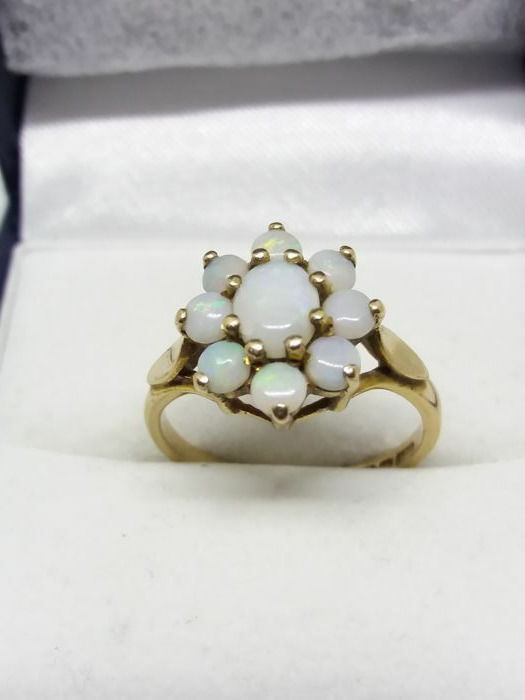 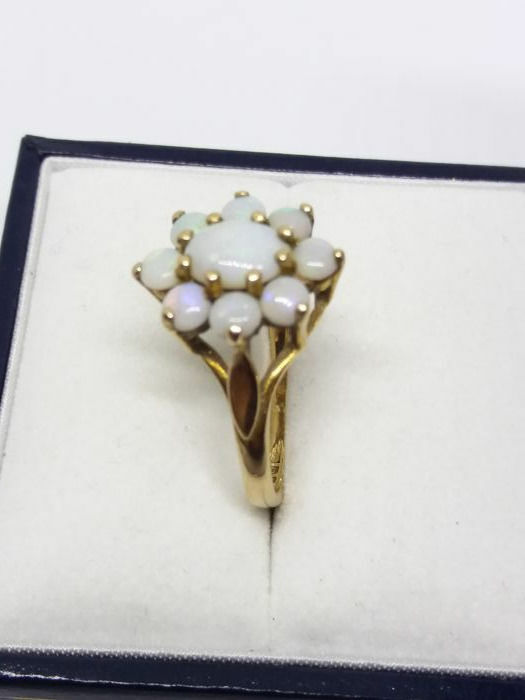 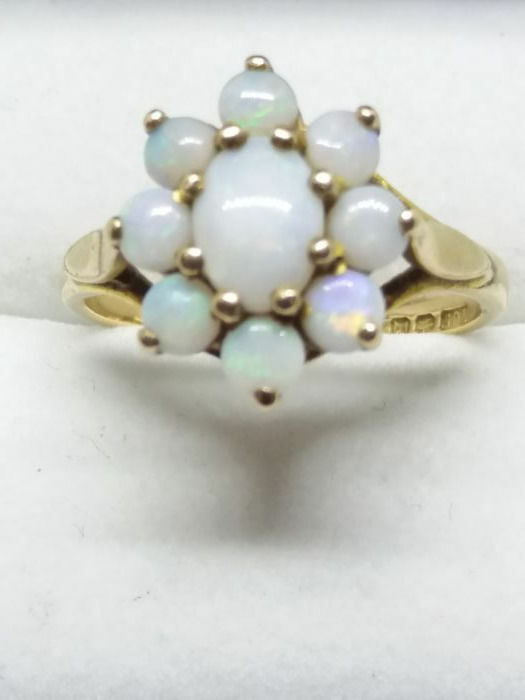 Opals have been considered both good luck and bad luck throughout history. 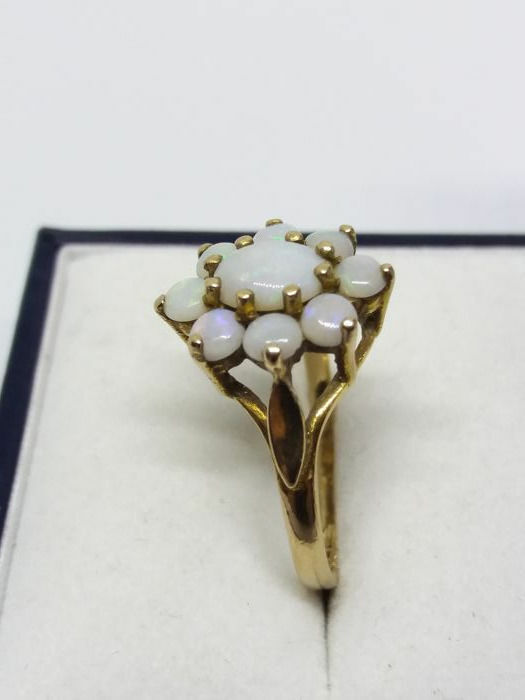 They were as precious as Diamonds to the ancient Greeks and used in jewellery by the Romans, whereas in Russia the stone was considered by the Tsars to symbolise the evil eye. 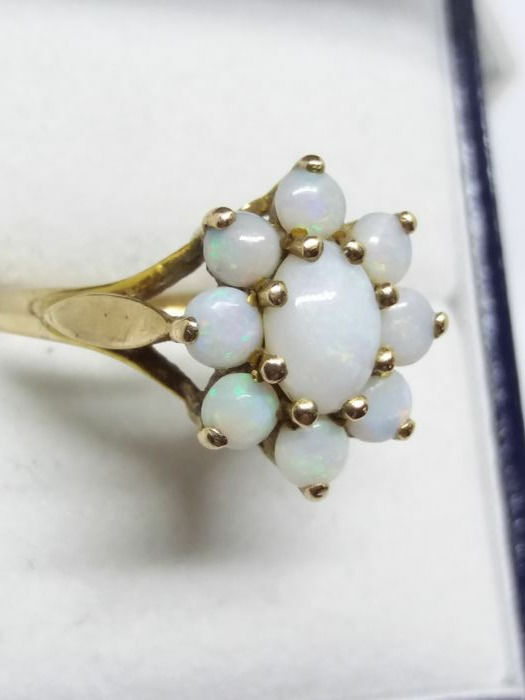 When Europeans first went to the New World they found the Aztecs of South America mining the gem, and due to its rareness and beauty they took many back to Europe to be presented to the royal courts.